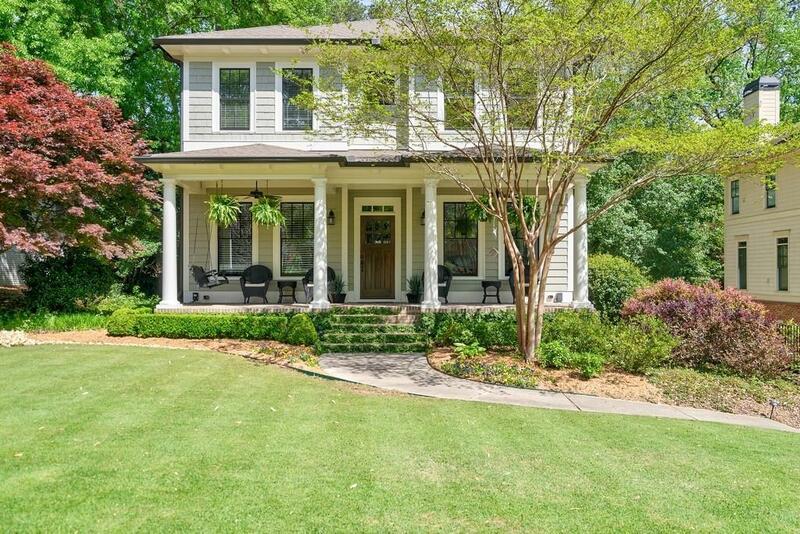 Built in 2008, this refined Morningside home rests on a quiet, culdesac st & flat lot. On t/main level you'll find an open floor plan w/beautifully updated kitchen, walk-in pantry, expansive butler's pantry, office, dining room, & hardwood floors. 4 bedrooms up including an oversized master suite w/spa-like shower, custom walk-in closet, & lovely stone finishes. Fenced-in yard leads up to deck & sprawling screened-in-porch. Terrace level finished basement includes custom dog-wash, dumbwaiter, bedroom suite, huge bonus/media room, great storage, & entry to 2 car garage. Directions: Piedmont Rd To East Rock Springs, Left On The Roundabout To Wildwood Road, And Then Left On Wildwood Place. House On The Right.